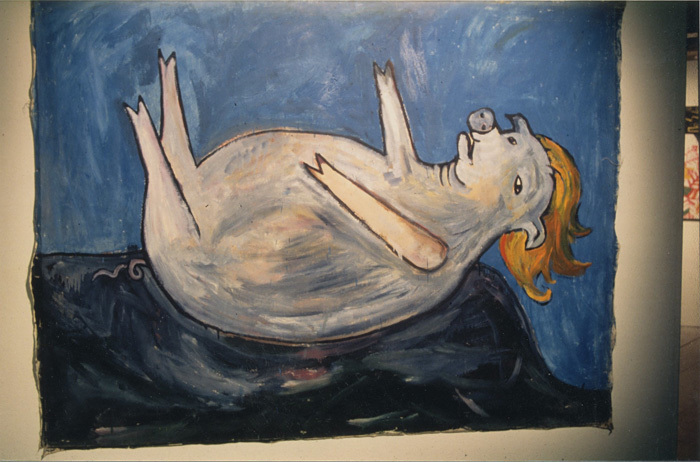 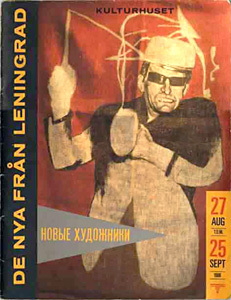 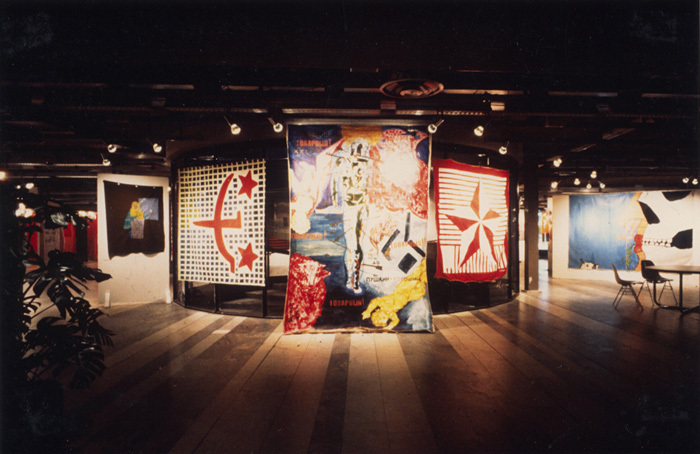 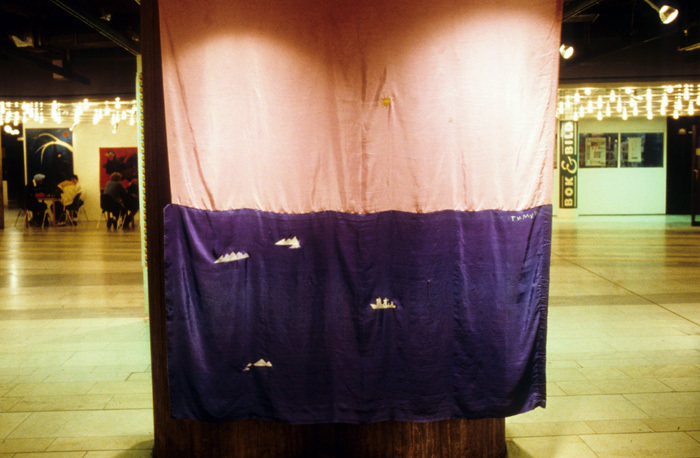 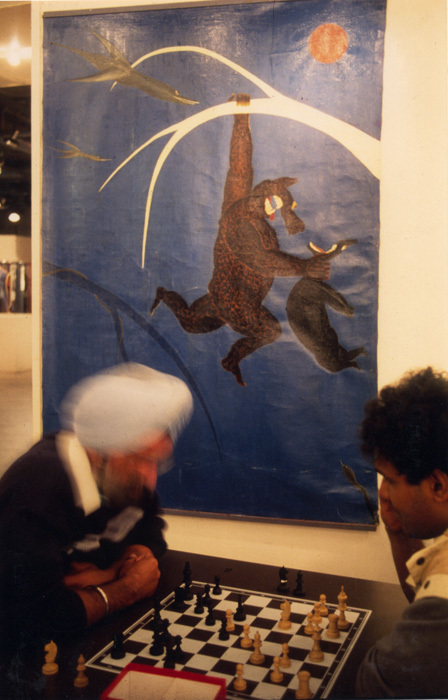 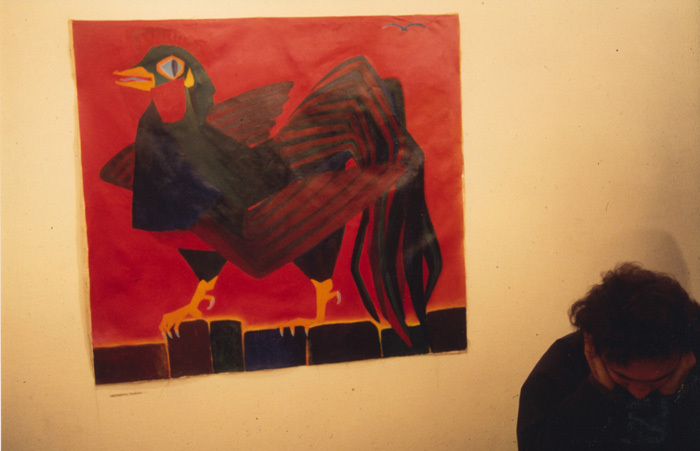 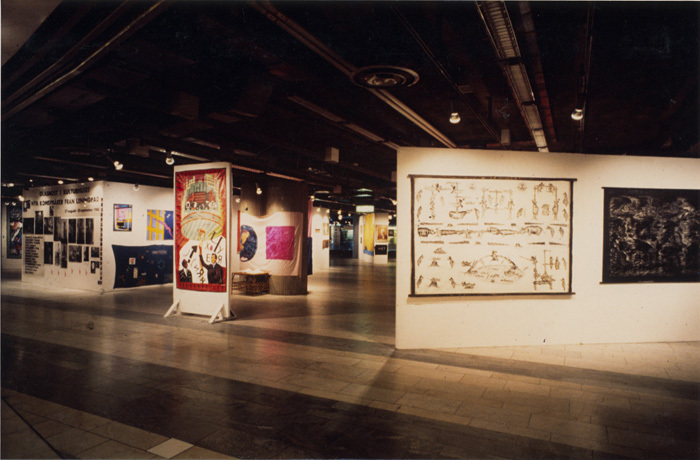 of the “New Artists“, the most important avant-garde art movement of the Leningrad 1980s. 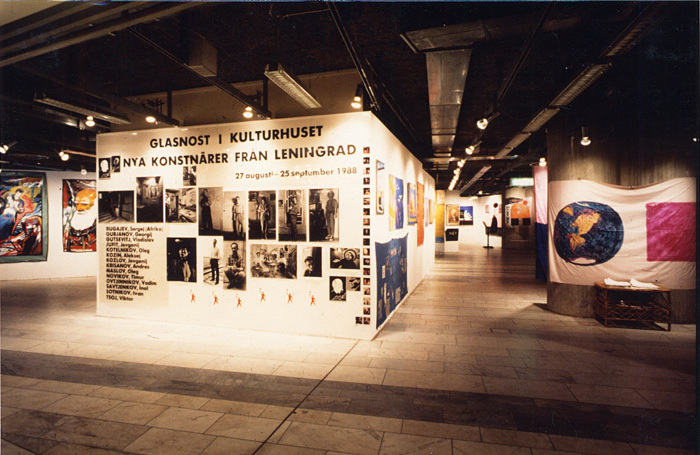 Catalogue of the exhibition De Nya från Leningrad / "The New from Leningrad"
Evgenij Kozlov Портет Тимура на коне" / "Portrait of Timur on Horseback"
Below: general view of the exhibition. 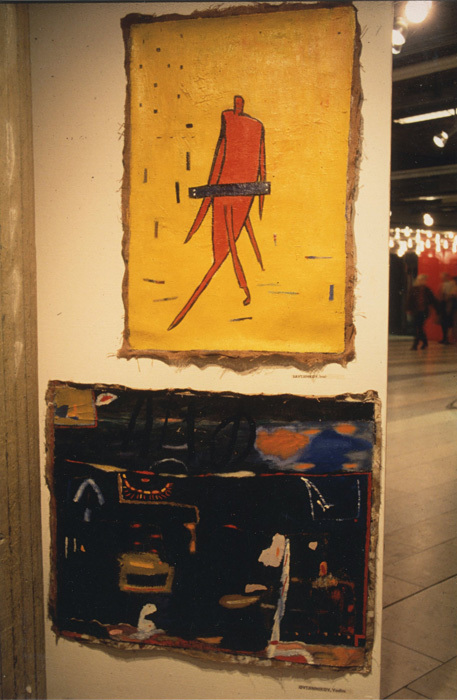 In the centre, mounted on a stand "Хочу Е Я (и ЯЯ) / I want her (and I I)" by Evgenij Kozlov. 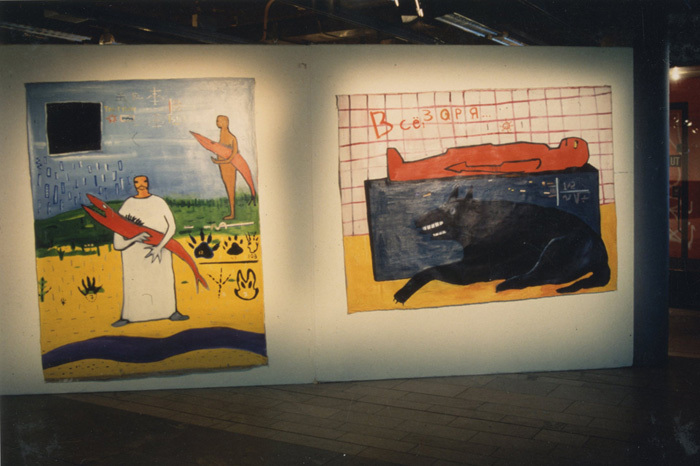 On the right paintings by Evgenij Yufit. 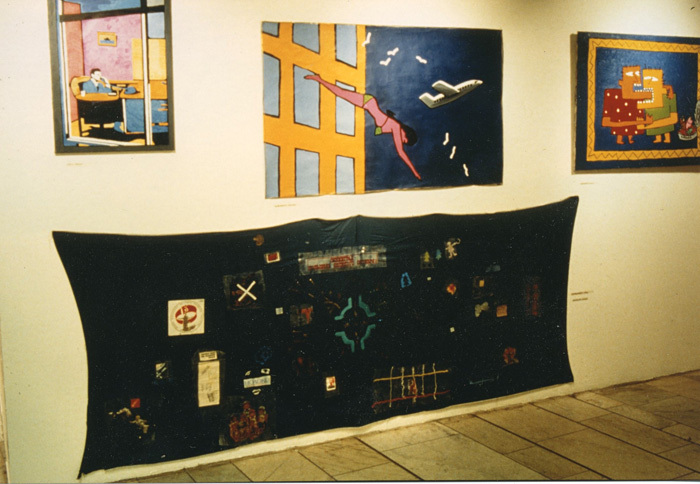 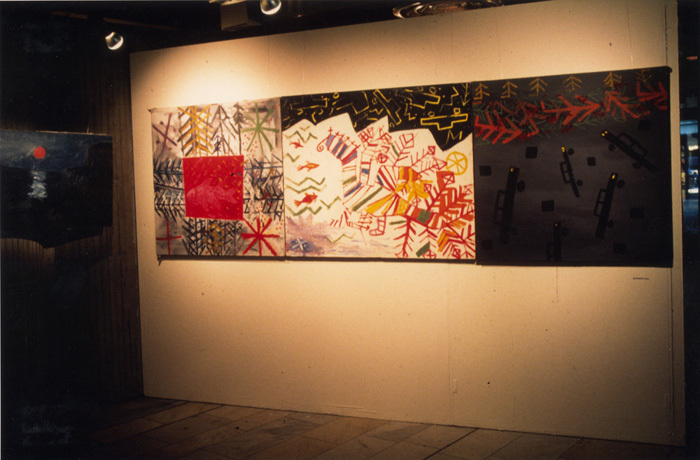 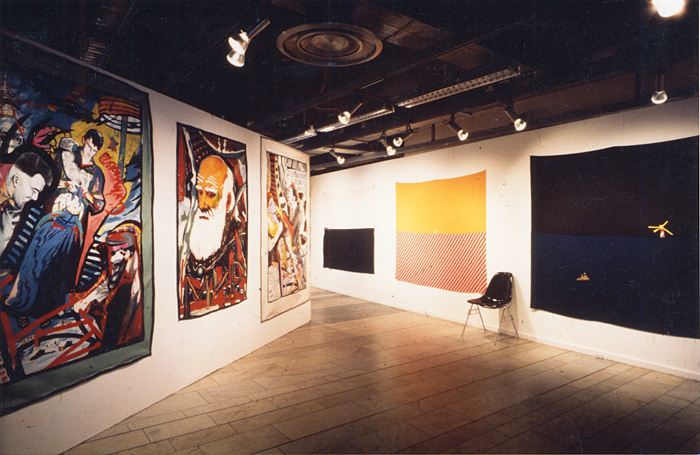 On the right wall works on textile by Timur Novikov. 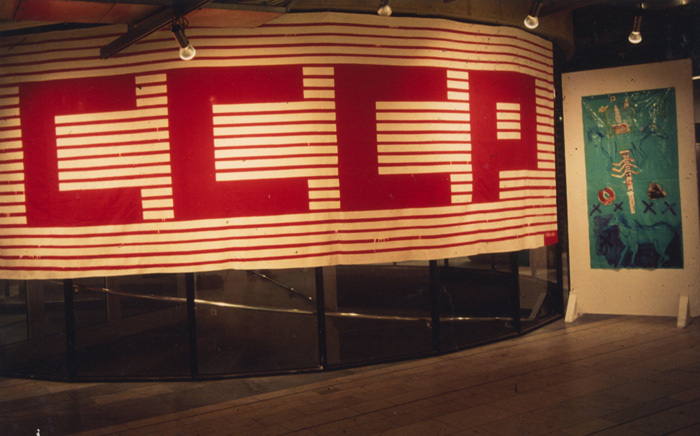 Textile work by Timur Novikov. 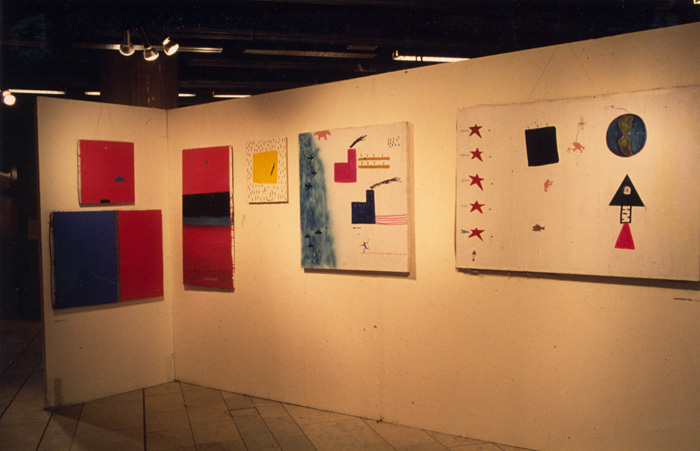 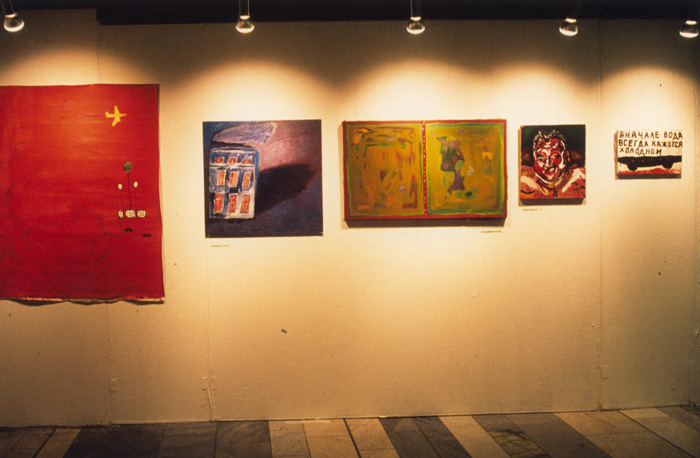 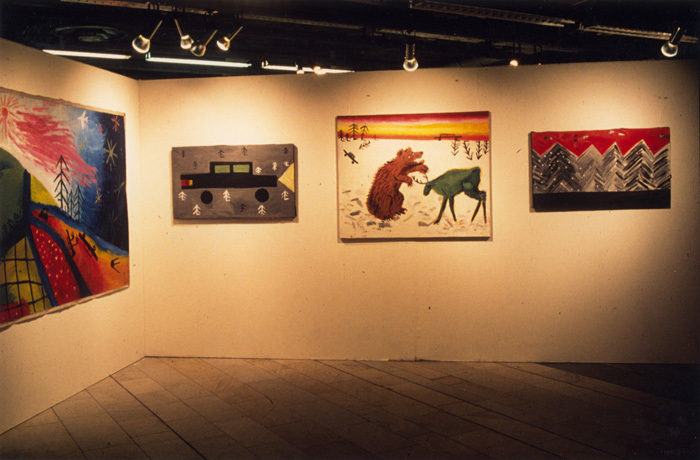 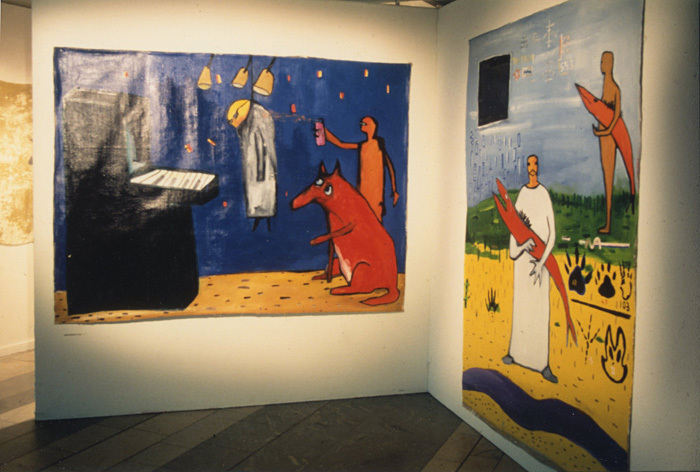 From left to right: works by Oleg Kotelnikov, Vadim Ovchinnikov, Vadim Ovchinnikov?, Andrey Kurmayartsev-Mertvy (erroneously attributed to Evgeny Yufit), Sergei Bugaev?